This quick dish is perfect for a weekend lunch or a light evening meal. It’s fuss free and uncomplicated but the flavours are truly satisfying. 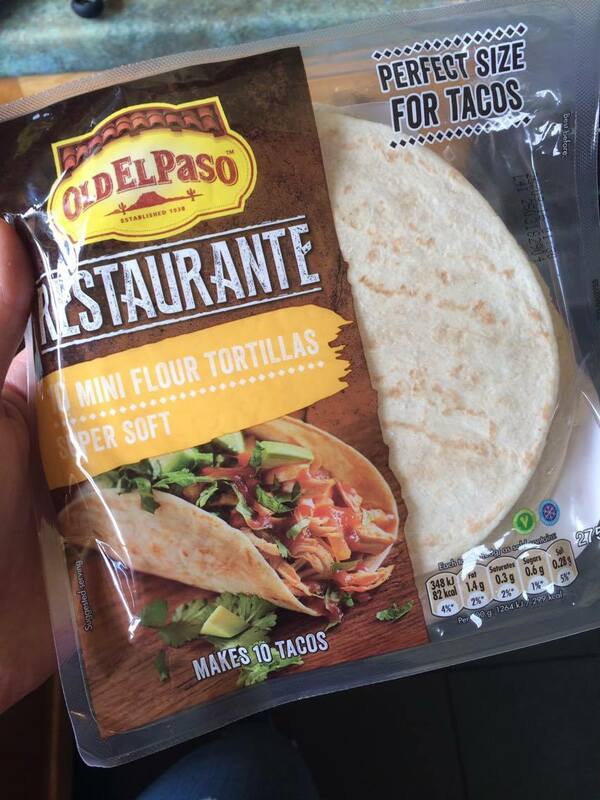 I’ve used mini soft taco’s in the recipe below as they are only 3sp and filling enough for me however if you feel you need a bigger wrap, go with a normal sized tortilla for only 1sp extra. Pre heat the grill to high and then line a baking tray with tin foil. Pop the salmon on the foil, coat in the harissa, season and then grill for 7-9 minutes until cooked through (or to your liking). Then pop each wrap on a plate, spread 1 tbsp of houmous over each and sprinkle over the lettuce and red onion. 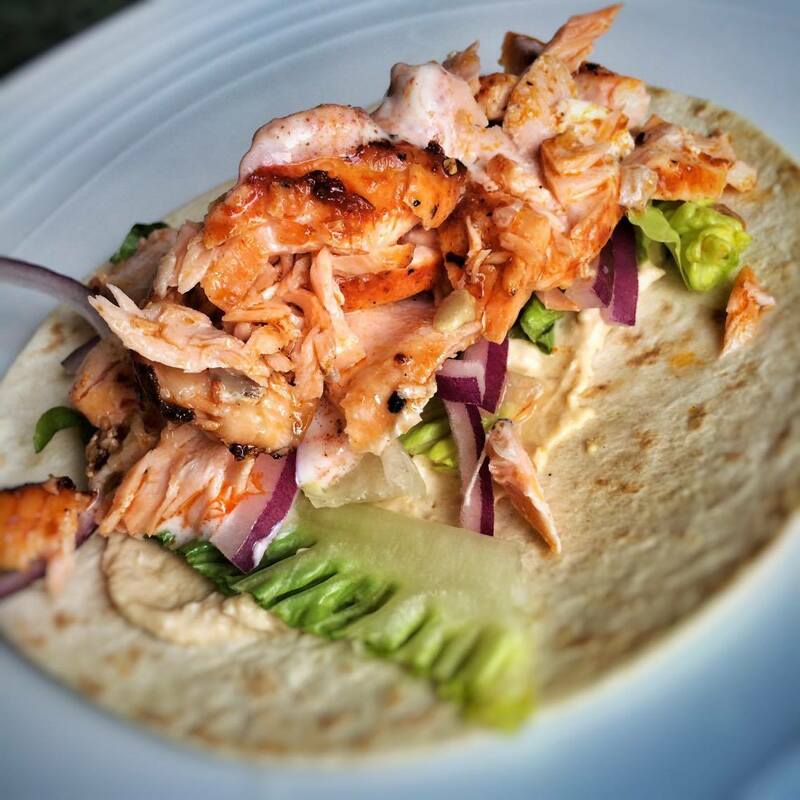 Remove the salmon from the grill, flake roughly with a fork and then add 1 salmon fillet to each taco. Finish with a drizzle of yoghurt mixed with a little harissa paste, squeeze of the juice of 1/2 lemon onto each and enjoy! A Mexican Cooking Class and a Fabulous Wahaca Salad!